Let’s be honest: podcast listening has gone up over the last decade. In fact, recent data shows that 44% of Americans 12 years old and older not only know what a podcast is - but have actually listened to one. And because of this data, more and more business leaders and marketing experts have been turning to the podcast medium as a way to promote their products and their brands. One great strategy for using powerful quotes from your podcast episodes is to overlay them on the episode images you create for social media. There are many tools available to help you do this, including Canva, Stencil, and our personal favorite - Adobe Spark. To help you get a visual idea of what this strategy could look like, we’ve created a quote image based on one of our upcoming podcast episodes. For particularly powerful quotes, you may want to turn that segment of the audio into a square Instagram audiogram. An audiogram is a snippet of your conversation taken from your episode and combined with a static image. There are a few tools and strategies you can use to make audiograms, and as the podcast niche continues to grow, more tools and resources are hitting the market. Taking the two previously mentioned strategies one step further, you can also turn those static quote images and audiograms into an Instagram story or mini IGTV post. And, best of all - there’s no need to search for yet another app or program to create those social media assets. Canva, Headliner, and Adobe Spark do an amazing job of resizing the social media images for IGTV and Instagram Stories. Teaser videos (or trailer videos) are another great way to promote your podcast episodes, and while many podcasters are taking advantage of it - many more are missing out on the opportunities and SEO value that YouTube can bring to their shows. There are many ways to turn your podcast episodes into a YouTube teaser video. 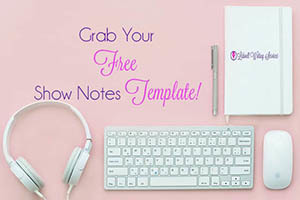 One of our favorite ways we’ve seen clients use the quotes we add to their show notes is by taking that snippet of audio and turning them into their YouTube teasers. The process is similar to creating audiograms with static images or for IGTV or Instagram stories, and many of the audiogram creation tools can also help you resize these videos for the YouTube platform. Adobe Spark also allows you to easily create videos within their platform. So there you have it - 4 easy ways to use your podcast quotes to promote your show on social media. Promoting your show on social media is part of the process of growing your show and expanding your reach. If you want more people to discover your show, you need to market and promote your content in a fun and engaging way. One way is by utilizing the powerful or funny quotes you or your guests share in your episodes. What may work for one person may not work for the next, so it’s important to be open and try new things. We encourage you to test and experiment with different ways to promote your episodes - then, be sure to share your strategies and results with us in the comments below! How do you use your podcast quotes to promote your podcast on social media? Drop us a line and share your insight with other amazing podcasters! Need More Ideas for Promoting Your Podcast? 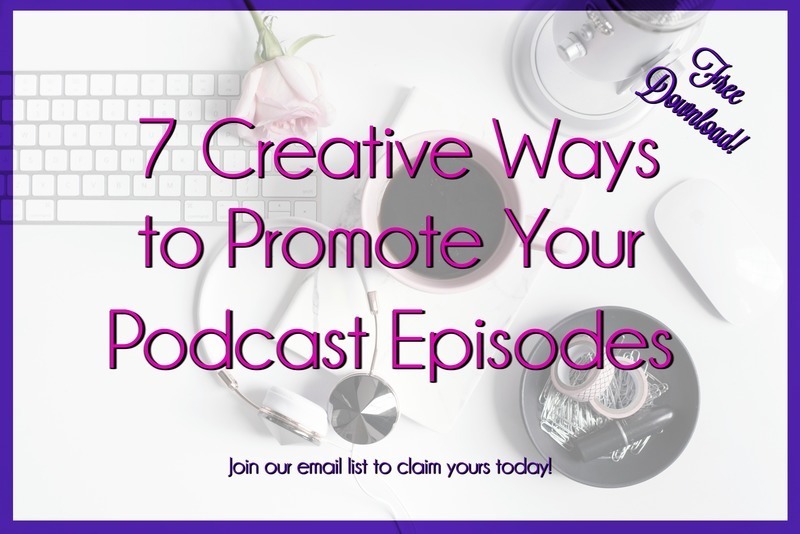 And if you need more creative ways to promote your podcast, subscribe to our mailing list to request our 7 Creative Ways to Promote Your Podcast tip sheet! Promote Your Show Like a PRO! Subscribe to our newsletter to get your free download!